Oh my stars, how cute are these earrings??? These Hammered Minimalist Studs will be your new favorite earrings! Made with a hammered texture and vintage metal, these studs are beautiful and charming. These minimalist studs have a cute, dainty size, similar to a dime. 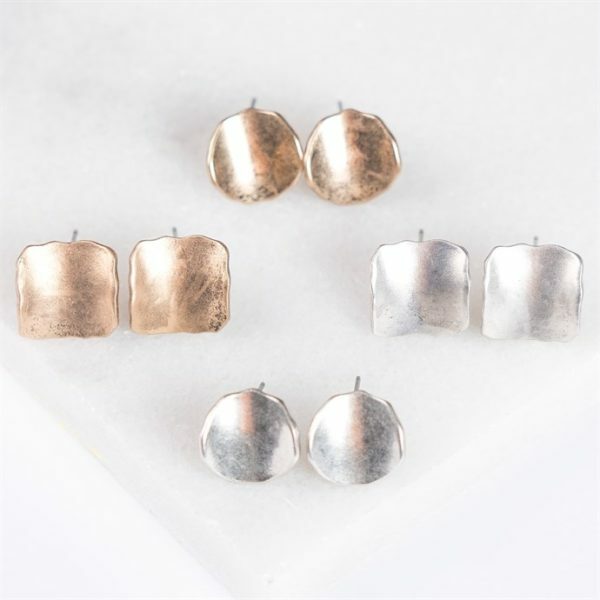 These Hammered Minimalist Studs are the perfect accessory! 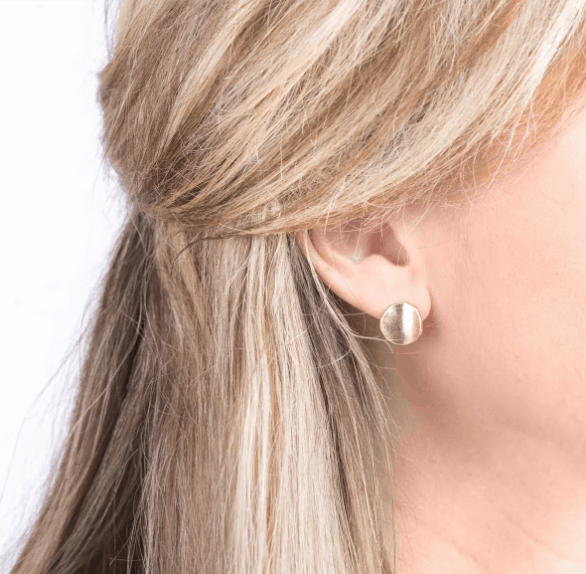 Note: The metal in these earrings has a vintage style. As seen in the images, it is not perfectly solid. The markings on the metal are by design, and it is NOT tarnished. Shipping is $1.99 for the first item and FREE for each additional item.